So I am the proud owner of a new PC here at work. YEAH! But when I tried to process my cube in Analysis Services I got this error. 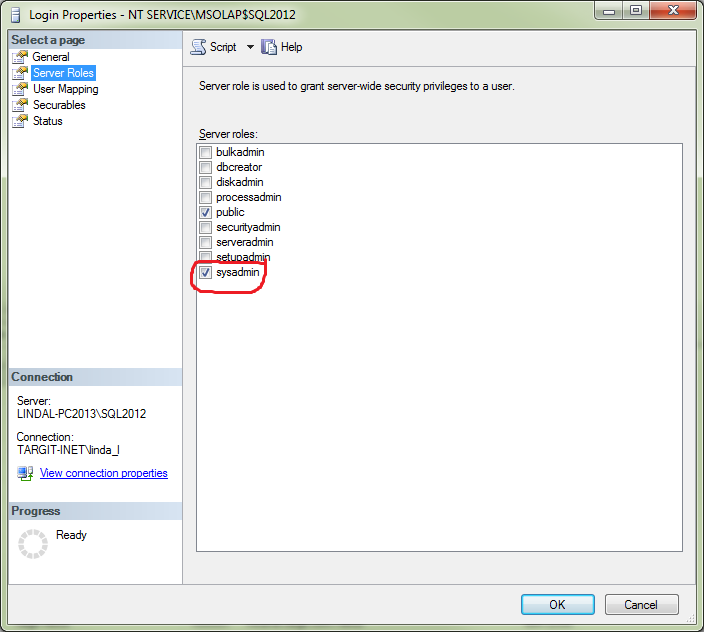 OLE DB error: OLE DB or ODBC error: Login failed for user ‘NT SERVICE\MSOLAP$SQL2012’. ; 42000. I know I have seen this before and I will probably see it again so this time I’m going to write down how to fix it. Basically the problem is that the Service doesn’t have access to connect to SQL Server. 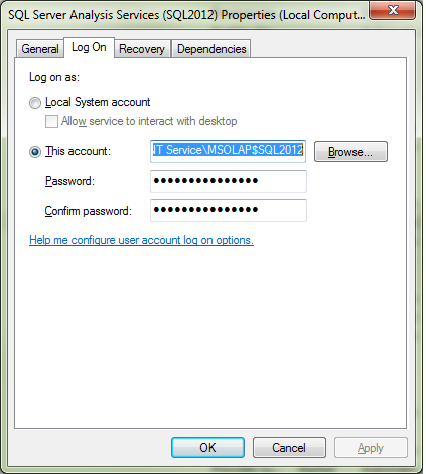 The first thing we need to do is open windows services and find the SQL Server Analyis Services service and figure out what account it is trying to login with. To the right of Login Name we can click on Search. Put the Login name that we got from the service into the box and click Check Names. It will find the name for us. Click OK.
Because this is my local Development machine I find it easier to just check sysadmin. 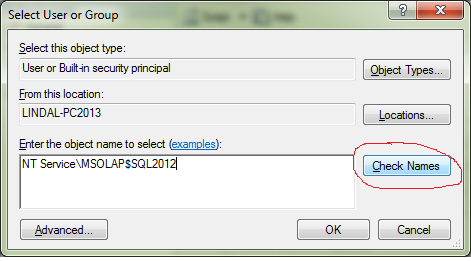 Click ok and now Analysis services service has access to read from SQL Server.